Each bedroom has Queen size bed. All linen is supplied and is of excellent quality. 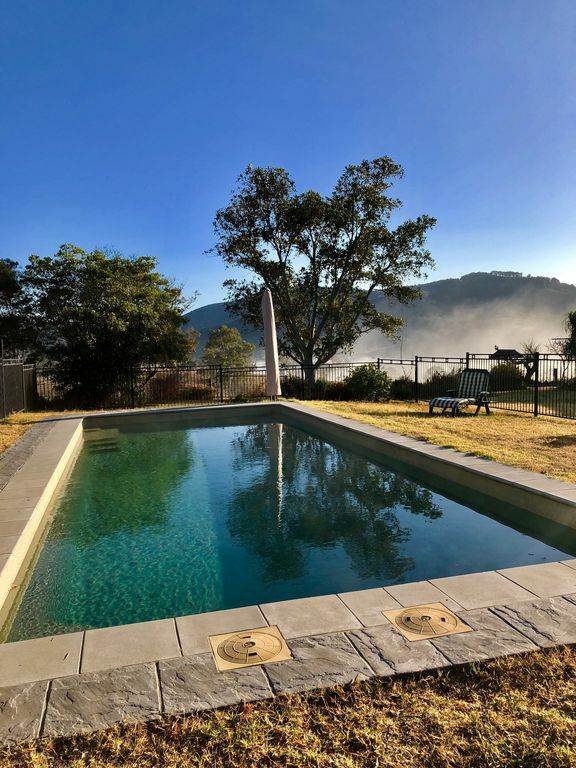 There is a swimming pool and outdoor heated spa to relax around,read a good book on the verandah whilst taking in the great views or watch our many colourful birds at play. The cabin has reverse-cycle air con . The bathroom has double shower heads for the romantics! Cook a BBQ, prepare a meal in your fully self contained kitchen or drive 8klms to town for cafes, restaurants, clubs etc. Undercover parking at the door.